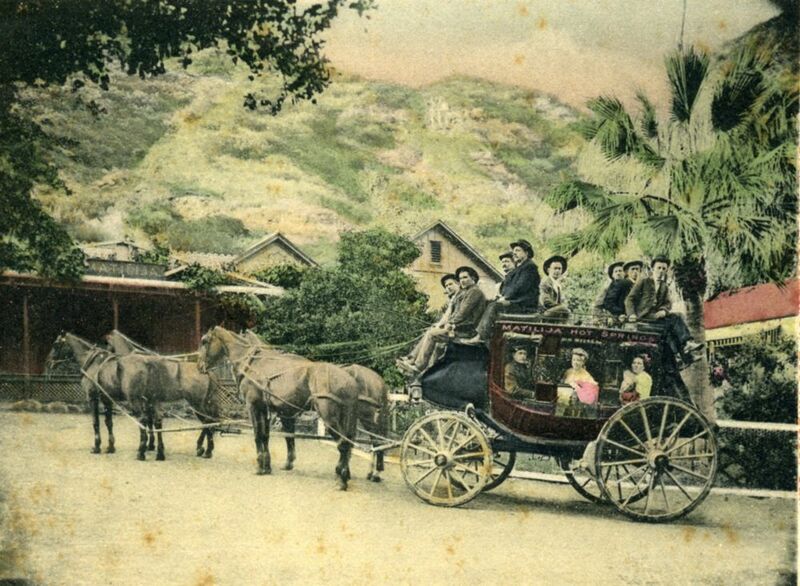 Matilija Stage Coach. The Ventura Signal reported on July 26, 1873, that a stage line had been opened between Ventura and Matilija Hot Springs. Andy Van Curen opened a line between Ventura and the valley in the summer of 1875. Various lines operated thereafter. This photograph shows a stage at the second site of Matilija Hot Springs and dates from around 1910. The above is an excerpt fromÂ Ojai: A Postcard History, by Richard Hoye, Tom Moore, Craig Walker, and available at Ojai Valley Museum or atÂ Amazon.com.